My son was home for spring break from college last week. I normally love to decorate lots of cookies each week, but I decided to block the week off to soak up every minute of family time that I could. As you saw in my St. Patty Day post, I did make a bunch of St. Patrick's Day cookies last week, but I also set aside time to make SHARK COOKIES. 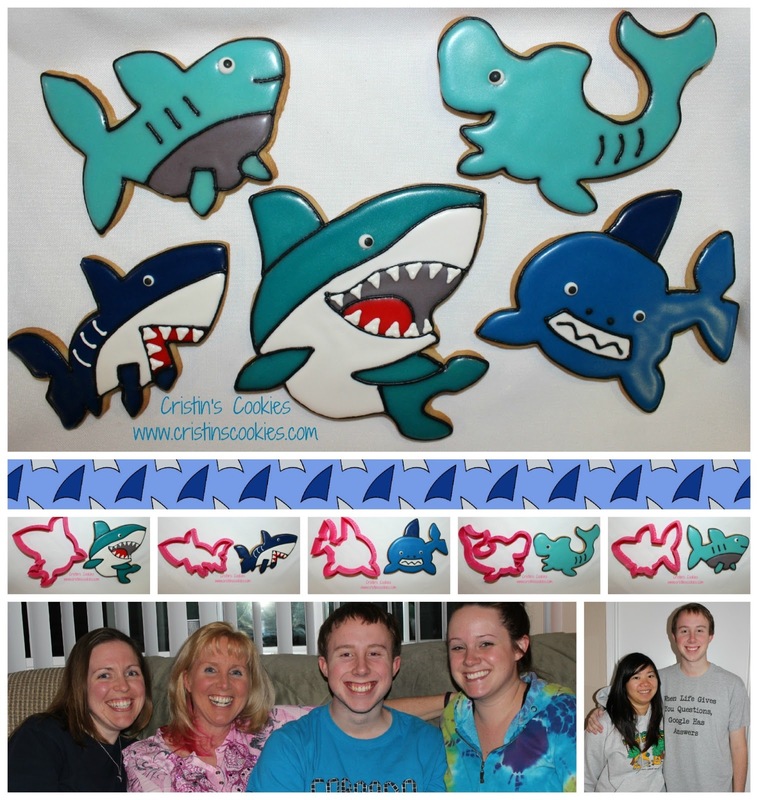 Why shark cookies you ask? Well, that's what my son asked me to make! He wanted to make a special surprise present for his friend, Liann, because she likes sharks. I didn't have a shark cookie cutter and I've never even thought of making shark cookies, so I was starting from scratch. Then I got into it. And probably went a little overboard. I tend to do that. I made just a few shark designs. While Nick was home, we played games together, he gave me lots of wonderful, wonderful, wonderful hugs, we went to family parties and had family over and the very best part was that he OFFERED to go for a bike ride with me! We rode about 26 miles together and it was definitely my little piece of heaven. Shark blog background for today. 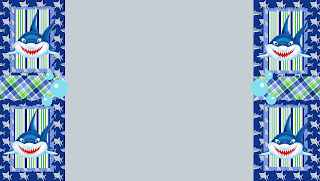 Thank you to Amy of Happy Heart Studios for creating shark paper for me to use to make my blog backgrounds. I appreciate that every idea that pops into my head, you are ready to help me execute it! Sammy is my favourite too. Glad that you had a lovely visit with your son during his break.